Visa Prepaid Card – How Does It Work? Prepaid payment cards are getting very popular, and there are many variants to choose from. Before you choose a card, you’d do well to check out the pros and cons of cards provided from different companies. It’s also good to have an idea of how prepaid cards hold up against more traditional alternatives for payment. Compare the fees, the benefits and the options you’ll have with each card provider, and use that information to try to figure out which card is going to be the best fit for you. 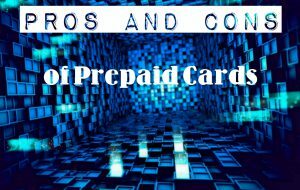 First of all, a prepaid card looks and acts almost exactly like a traditional credit or debit card, and you’ll be able to use it pretty much the same way. However, because you deposit a given sum to this card before using it, there is no credit limit based on your financial history, and the amount available on your card is entirely up to you. This also means that even if you have some issues regarding credit, you’ll still be able to get a payment card that is easy to use. As mentioned above, conditions may vary, but most cards will not allow you to use more money than you have deposited, and thus you don’t have the option of making expensive overdrafts. Because the money on the card is already paid, you also avoid the interests that build up on a credit card.